trip Archives - All Chucked Up! Hey everyone! 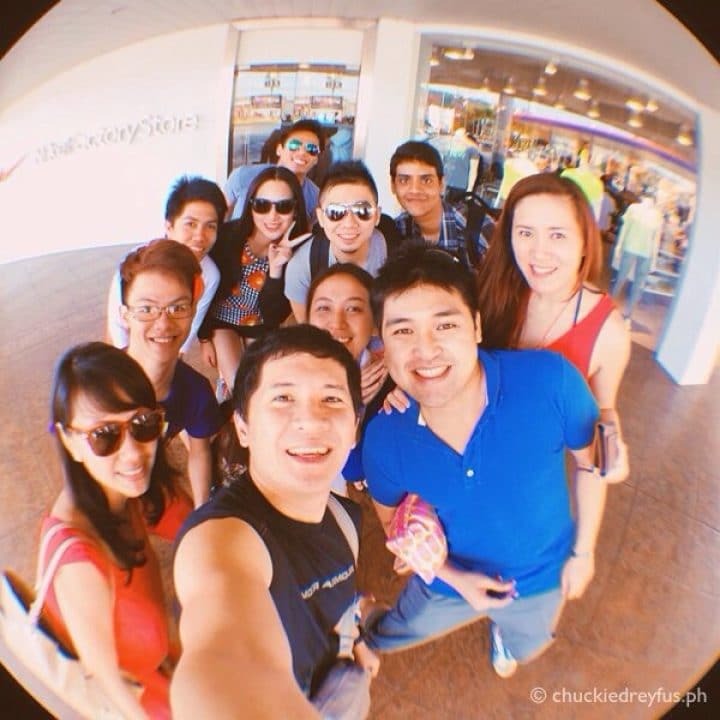 Today is our DigiWWWOW Malaysian bloggers tour of Subic. This is my attempt to liveblog this entire event so please bear with me. Haha! Just refresh your browsers every now and then or follow me on Twitter so you can know realtime if I have already updated this liveblog. My Twitter handle is @chuckiedreyfus. 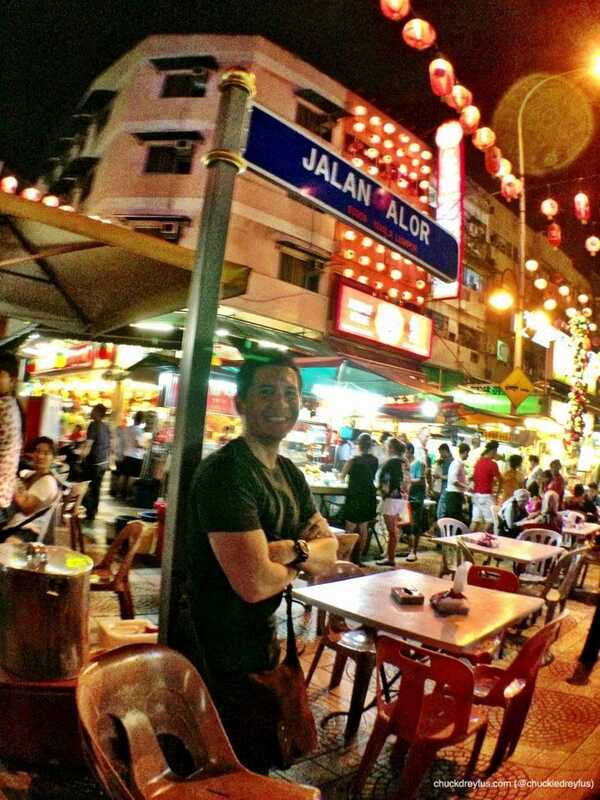 Our next destination… the busy, crowded, festive and restaurant-riddled street of Jalan Alor. This is one long strip of road that seems to never sleep at night. 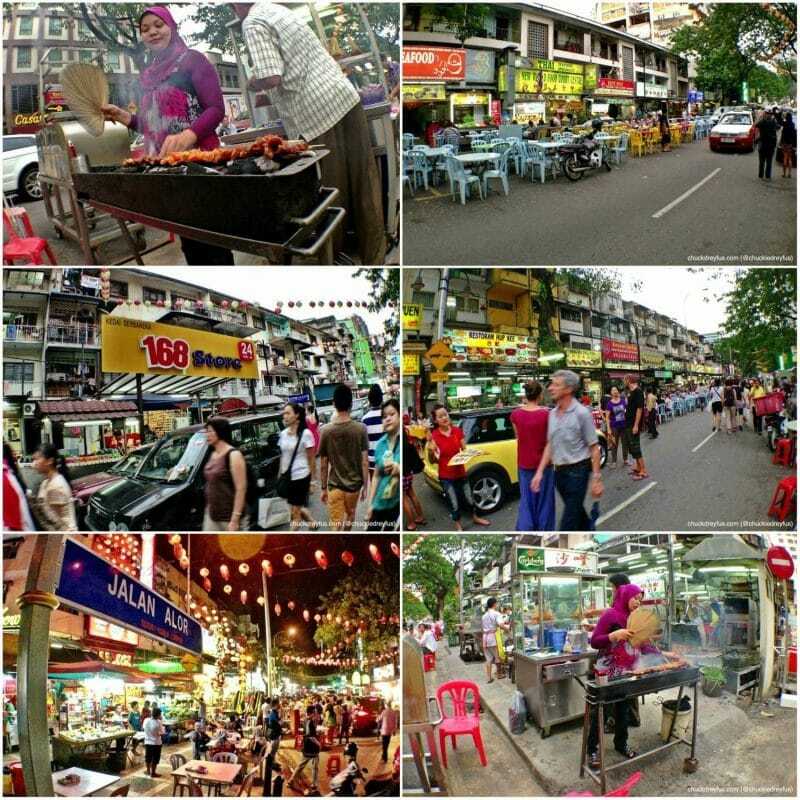 The entire stretch of Jalan Alor is lined with all sorts of food stalls, with tables and chairs that overflow from their respective restos and stretch out to the sidewalk and practically takes up almost a third of the street itself. If you’re into ihaw-ihaw and al fresco dining, this is the spot to hit. If you’re familiar with banchetto, imagine that but a couple of times bigger. Best to dress down and dig in when you’re here! Just be sure to keep your wallet and valuables close to you. I enjoyed this place a whole lot! Good food, awesome crowd, party atmosphere… it’s just very Pinoy, me thinks! Our first stop along the way was the new National Palace of Malaysia called, Istana Negara. To say that Istana Negara is BIG is an understatement. Huge does not even come close to describing the place. Istana Negara is absofrickinlutely massive! You’ve got to be there to actually realize how vast and overwhelming the National Palace is. 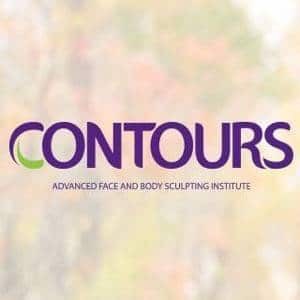 After a good number of “Look! I’ve been here!” photos all over the outer grounds of the palace including some fun pics with the palace guards, we left Istana Negara to have late lunch. Yipee! 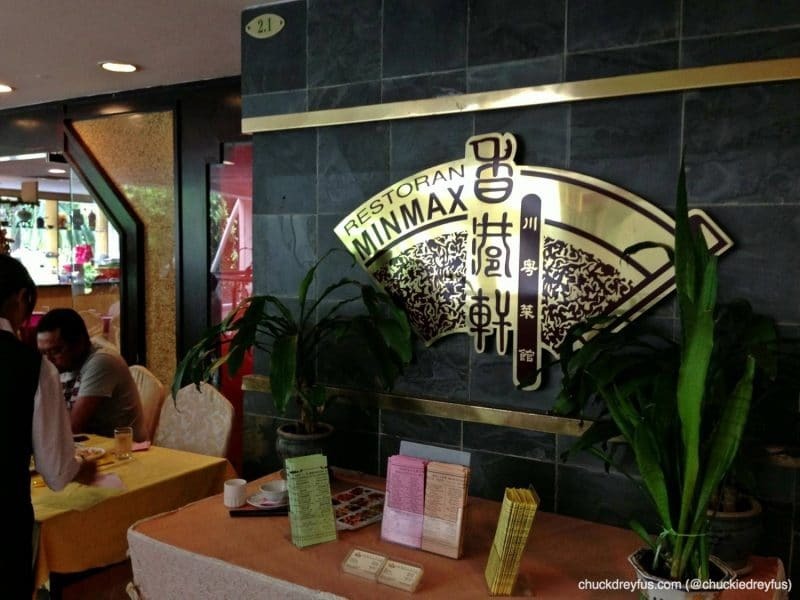 After what seemed to be a foodfest over lunch, we went straight to our hotel – The Berjaya Times Square. Apart from our hotel rooms lookin’ really swell, I found it equally awesome that Berjaya is located right smack in the heart of the city. It makes exploring the metropolis that much easier. We, checked into our respective rooms and were given about an hour to freshen up, unpack and relax a bit before meeting up at the hotel lobby again to make the most of our first day. An hour passed and sure enough, we were all gathered at the lobby ready to head out and see more of Kuala Lumpur. Let’s go! Next stop – Kuala Lumpur City Gallery! St. Augustine once said, “the world is a book, and those who do not travel read only a page”. As a person who has gone to quite a number of places around and beyond our country, this particular saying breathes deeper meaning to me all the more. Truly, one must not be easily satisfied with merely being stuck in his/her own corner of the world, not caring about what lies out there in the distance. Traveling, apart from the fun and excitement that comes with it, is a means to open one’s eyes to the world around us beyond what books and stories can ever do. This, among other things, is what prods me to explore further and to travel farther… to embrace every chance to go forth and see more of the world. So, it goes without saying that when I was recently invited to go on a familiarization tour of Kuala Lumpur, Malaysia by Zest Air, AirAsia and Fleishman Hillard, I pounced at the opportunity immediately. 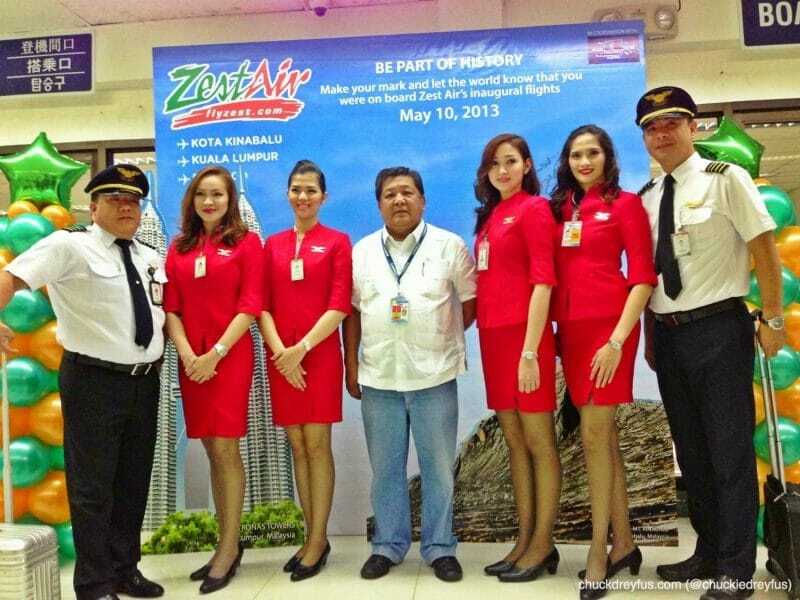 This tour, which took place just last May 10, 2013, coincided with ZestAir’s inaugural flights to three (3) new destinations in the region: Manila to Bacolod, Manila to Kuala Lumpur, and Manila to Kota Kinabalu. 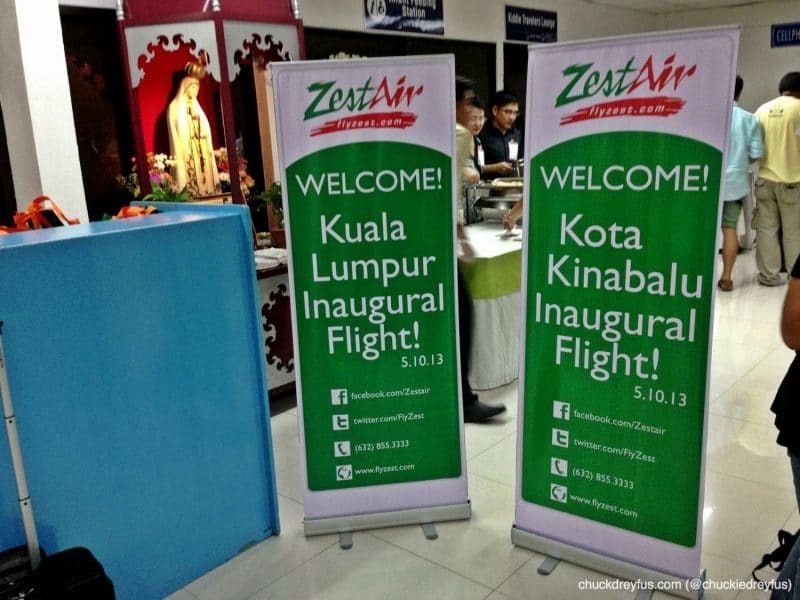 “Tourism Malaysia is delighted that Zest Air is launching its maiden flights to Kuala Lumpur and Kota Kinabalu. This initiative certainly comes at the perfect time since Malaysia will be celebrating its fourth Visit Malaysia Year (VMY) in 2014 and this year has been designated as the VMY promotional campaign year. We seek to attract more tourists from the Philippines to Malaysia. I am confident that this enhanced connectivity will be able to boost tourist arrivals from the Philippines to Malaysia.”, said Ms. Fazdila Mansor, Director of Tourism Malaysia Manila. Cool blogger friends! (Standing/L-R) CA, Alex, Ruth, Rey, Jen, Enzo & Mae. (Squatting in front/L-R) Ferds, me & Azrael. 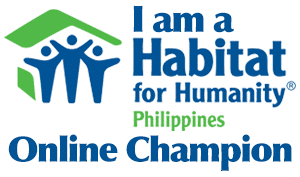 I joined an awesome (and hilarious) group of cool fellow bloggers making the 3-day trip much more exciting – CA de Ramos, Alex Dizon, Ruth Floresca, Rey Belen, Jennifer Adams Juan, Enzo Luna, Mae Ilagan & Frank Ruaya, Ferds Bondoy and Azrael Coladilla. Z2948 was our designated flight and we were all ready to depart for Kuala Lumpur at 6:45AM. Everyone was in high spirits and raring to go. I, personally, was excited to visit and know more about a country wherein last year, more than 500,000 Filipinos headed off to for work, business and tourism. Notice that the flight attendants who accompanied us during the trip donned red uniforms instead of Zest Air’s usual green & orange. This is due to the fact that Zest Air presently has a strategic alliance with AirAsia. This partnership only means bigger and better things for both companies. Another group of Zest Air guests were scheduled to fly to Kota Kinabalu at 9:35AM of the same day. 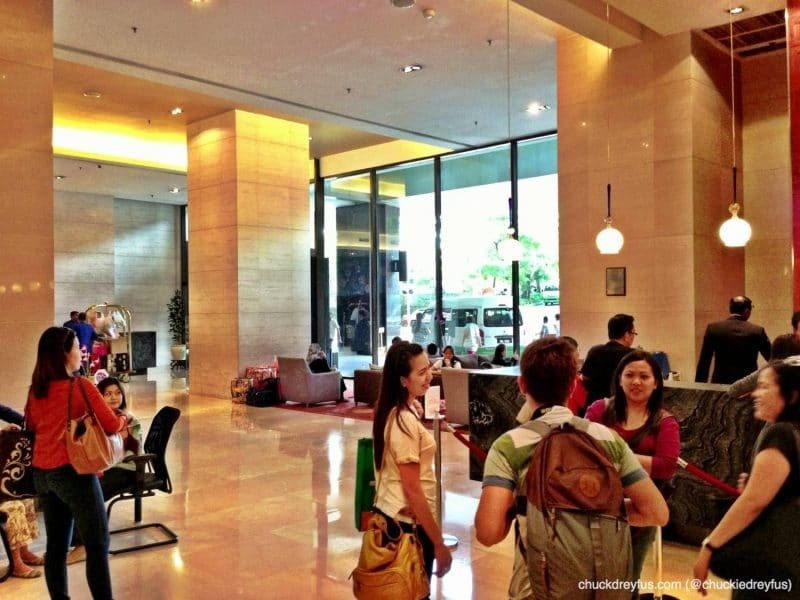 This particular group was comprised of travel bloggers, passengers including celebrity singer, songwriter, and 1/3 of the my favorite APO Hiking Society, Jim Paredes.